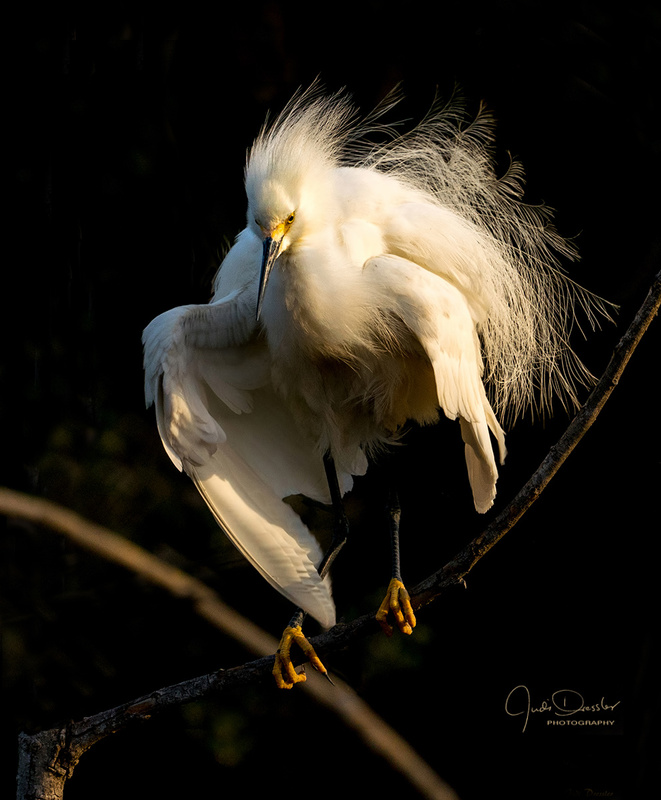 This gorgeous Snowy Egret is in full breeding plumage in the spring. He may be courting a female or he may already have found a mate and be nesting. I saw him land on this branch on a tiny island with lots of trees in a small pond, one of many egrets nesting there. Photo taken on April 20, 2018, on the southern coast of South Carolina.